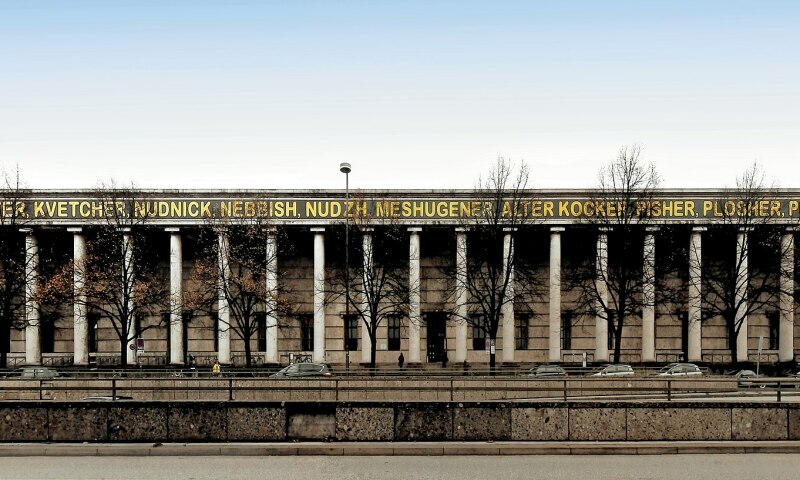 After its opening in 1937 as "Haus der Deutschen Kunst” [House of German Art], the Neoclassical building served to demonstrate National Socialist cultural politics and became the party's leading art institution. After the end of World War II, the museum building was first used by the US army as an officer's club. Art exhibitions took place as early as 1946. The return of modernism to the very place where the denigration of artists had begun served as part of a larger historical contemplation. Haus der Kunst became an important venue for featuring avant-garde works - like Picassos "Guernica" in 1955 - and thus a counterbalance to its defamatory stance during the Third Reich. Since then, Haus der Kunst has been transformed radically into an international center of modern art exhibitions, and,today into a global museum of contemporary art. The cultural examination and curatorial analysis of this process has become an ongoing, integral part of Haus der Kunst's program.